Greenbrook Village is composed of several single family neighborhoods and a new condo development that feature residences set on an expanse of lakes and nature preserves. This extremely natural setting is further enhanced by Greenbrook’s green advocacy. Construction of the community’s single family homes is done in strict accordance to the standards of the Florida Green Building Coalition. Hence, Greenbrook real estate is one truly environmentally sound investment. The price points of Greenbrook homes for sale vary in each of the neighborhoods. Residences at Greenwood Banks, for example, have floor areas from 1500 to 2600 square feet, and price tags that begin in the low $200s. Homes in the Ravines range in size from 1800 to 3100 square feet, and cost somewhere around the $300s and up. Greenbrook Preserve has some of the largest home sites, with floor plans ranging from 2400 to 4000 square feet. Prices here start at the high $300s and peak at the $800s. Each neighborhood offers several floor plans to choose from, and the choice depends on your budget and preference. Common layouts have 2 to 4 bedrooms and 2 to 3 car garages. Each exceptionally built home is designed with a dramatic front entrance and the materials used are hurricane engineered and energy efficient, with elegant accents built into the interiors. The gourmet kitchen comes with custom cabinets, Corian countertops, gas range with hood, dishwasher, and garbage disposal. Greenbrook is probably the most nature-oriented community you’ll ever find. Aside from following strict environmentally conscious building efforts, the residences are surrounded by several lakes and nature preserves. A number of nature trails are set in place for hiking and biking through the community’s verdant surroundings. 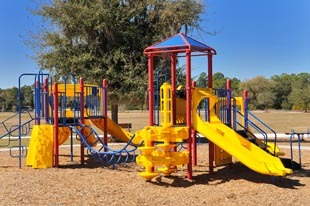 In addition, Greenbrook Park has a play area for young children and a pavilion where adults can relax in. The larger and more exciting Adventure Park has a larger playground, multi-use baseball fields, a Paw Park, an inline skate park, and several winding trails for hiking and jogging. There is a pavilion that may be used for parties and other social gatherings. A true family park, Adventure Park is also the venue of Lakewood Ranch’s Easter Egg Hunt and other local social events. 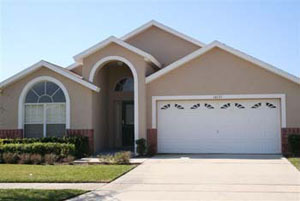 For education, Greenbrook Village has plenty of schools within its vicinity, such as the Gilbert W. McNeal Elementary, R. Dan Nolan Middle School, and Lakewood Ranch High School. The Goddard School can be found on the eastern corner of Lorraine Road and State Road 70. On the western corner, there is a Walgreens Pharmacy with an ATM. The Lakewood Ranch Town Center is on the southwestern part of the 8500-acre development, where you can also find Lakewood Ranch Medical Center and the Medical Office Building. 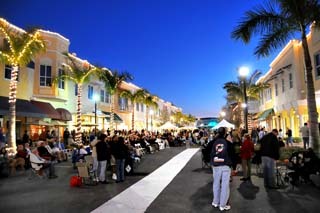 Boutique style stores and restaurants offering different cuisines line the town center’s palm-fringed walk. Additionally, the Lakewood Ranch Cinemas bring Hollywood blockbusters and independent films hand-picked by the Sarasota Film Society to the community’s moviegoers. Greenbrook Village has practically everything a resident could need and want in a residence. The safe and nurturing environment makes it ideal for families, especially those with school-age children. When you want a clean and green home in a nature-oriented setting, make Greenbrook real estate your first choice.